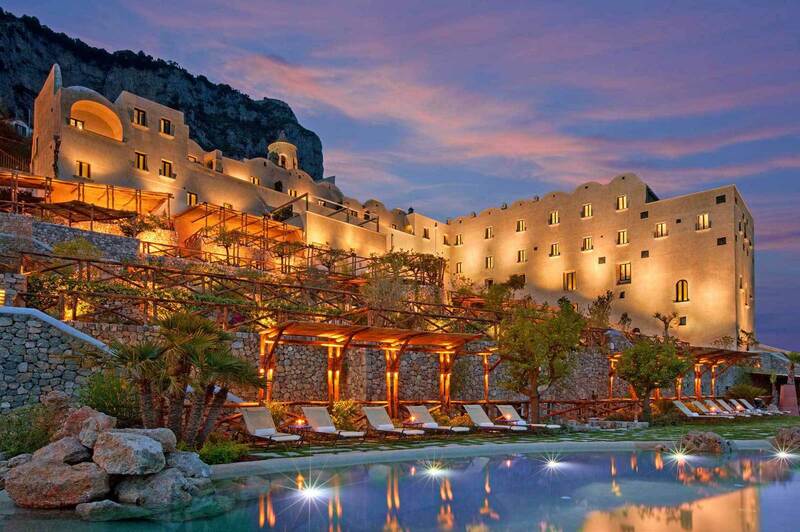 Monastero Santa Rosa Hotel & SPA is located on the beautiful Amalfi Coast, on the hills of the peaceful fishing village of Conca dei Marini, a few minutes from Positano, Ravello and Amalfi. This former 17th century monastery has been transformed into a charming hotel with luxurious amenities. A real paradise facing the sea! In Italy, the Amalfi Coast stretches along the Sorrentine Peninsula to the Gulf of Salerno, and is dotted with picturesque villages and breathtaking panoramas. 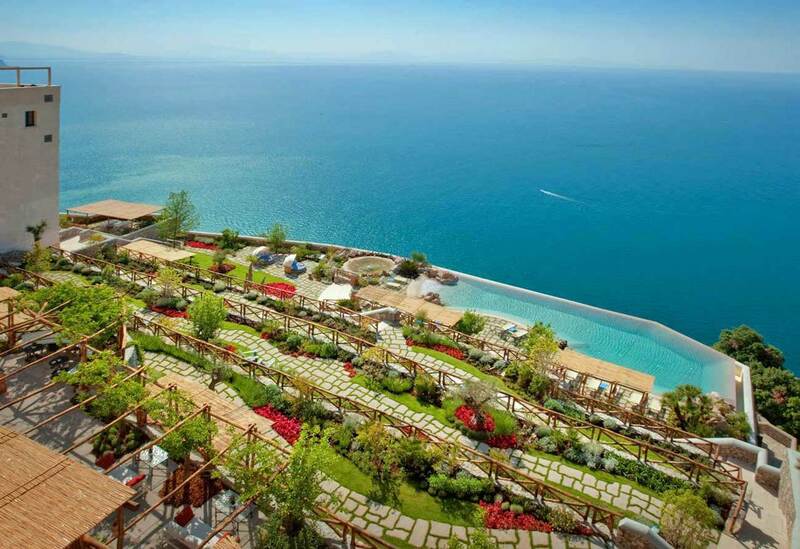 This romantic hotel with luxurious surroundings is a true haven of peace in the heart of the Amalfi Coast, it will be an ideal place to stay if you are looking for peace and privacy, for a weekend or For a few days of vacation. The terraces of the suspended garden and the infinity pool are an invitation to relax … with a 180 ° sea view! The Monastero Santa Rosa Hotel & SPA has a top-of-the-range SPA in the oldest part of the monastery (ceiling and exposed stone vaults, mosaic benches), fully equipped with sauna, hammam, sensory shower, massages and Body treatments, tepidarium, hydrotherapy pool, relaxation area inside and outside. Cross the threshold of the monastery Santa Rosa … and fall under the spell of this place full of history! The architectural elements of the ancient monks’ cells and the refectory were carefully preserved thanks to the collaboration of a talented Neapolitan architect. In agreement with the owner of the premises, it gave birth to spaces with refined and authentic design. 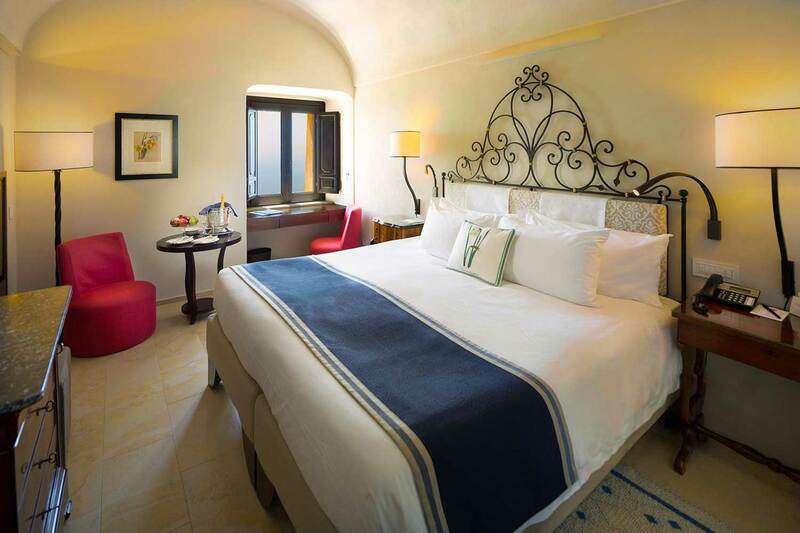 The 20 romantic rooms and suites of this luxury hotel have been individually decorated in harmony with the existing architecture. Bathed in light, they are open to the Gulf of Salerno and the marvelous landscapes of the Amalfi Coast. Some have a lovely private lounge and a lovely wooded terrace with panoramic views of the Mediterranean Sea.